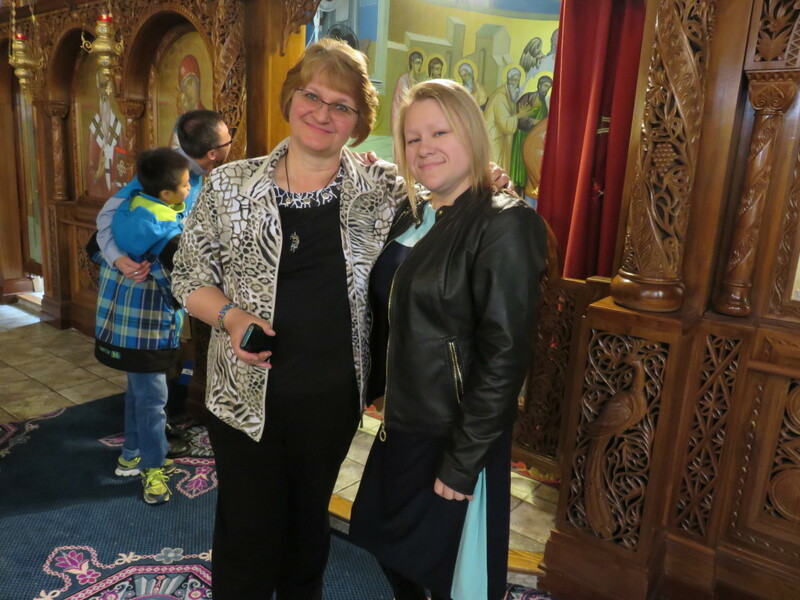 On Sunday, April 10, 2016 a small group of friends with a common love for the arts gathered at St. Clement of Ohrid Macedonian Orthodox Cathedral to meet and share a lively discussion with a treasured Canadian artist, Georgi Danevski. 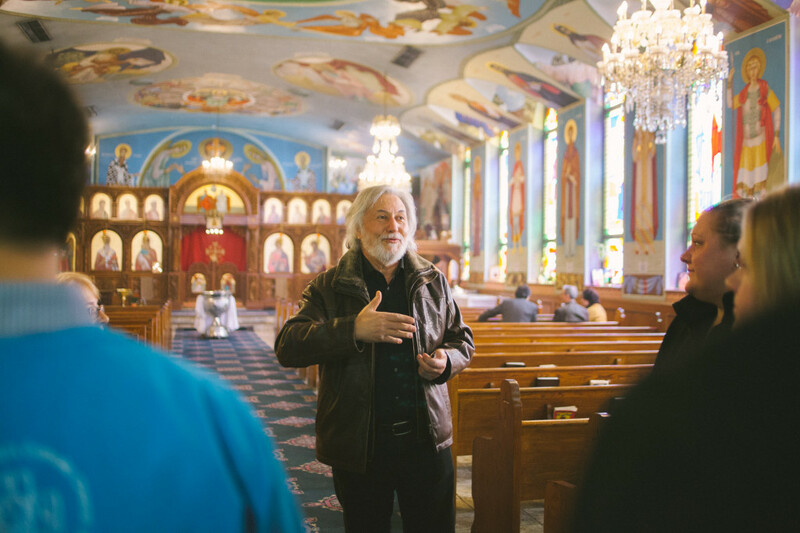 It began with friendly introductions over coffee and tea, and culminated with a precious personal tour of the miraculously painted church by the artist himself. Upon entering the beautifully adorned church, the frescoes and paintings immediately transported our group to a heavenly space where the hand of God had guided every stroke of this artist’s hand to convey his love for all who cared to look on. 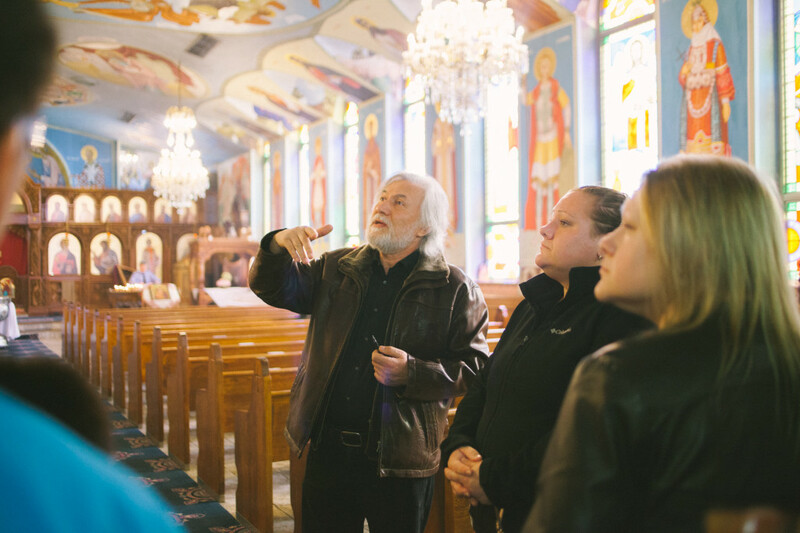 Throughout the tour, Danevski openly shared his passion and inspiration for these seamless depictions of Jesus’ life on earth. He often expressed his gratitude for the appreciation that onlookers shown, and humbly insisted that it was God himself working through his art. Danevski spoke candidly about his past and many travels, acknowledging the beauty and warmth he has encountered amongst many peoples. His love for discussion of the arts, the good nature of humanity, and the importance that the ordinary individual plays in building up the kingdom of God was easily seen depicted in his creations. Each facial expression, hand gesture and halo used in the living frescoes create a living mosaic of the fabric of Christianity revealed in his deliberate depiction and selection of the life of Jesus Christ. It was a true honour to meet this talented artist and appreciate the beauty of his work through his lens, while savouring the intimacy and creativity handed down by God himself in this sacred space.